Happy Chinese New Year! In Chinese society we use an animal to represent each year. This year is the year of dog. 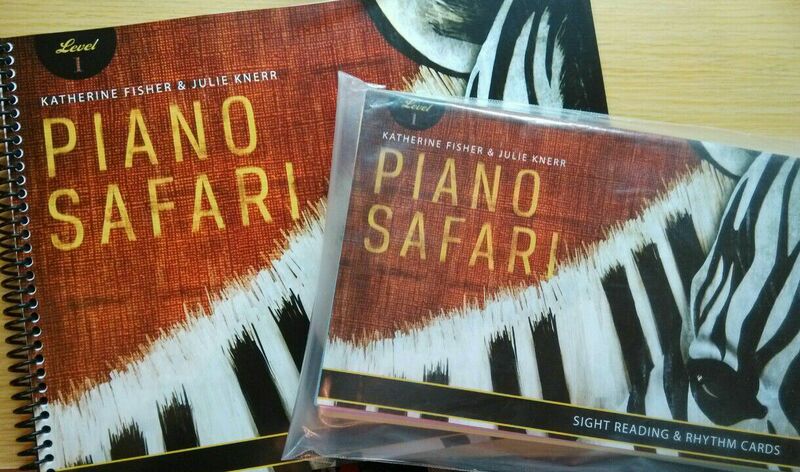 And I take this opportunity to introduce you a piano method system that also use animals as concepts: piano safari. Piano safari is an innovative and progressive piano method system. It consists of 3 levels covering from total beginner to around abrsm grade 3. I am impressed by their emphasis of the importance of “sound before symbol” pedagogy concept. This is reflected by the extensive use of pattern pieces since lesson one. Pattern pieces are those music with lots of repeated patterns and are learnt by rote. They are challenging yet much more musically mature. My students like them very much because pieces in low grades especial in pre-grade are too childish and dull. Pattern pieces help students to be focus on music itself, develop keyboard geography sense, hearing sense, musical sense, memory skill, and as a result sight reading skill indirectly and surprisingly. Piano safari also includes pre-staff notation like other popular piano methods such as Alfred piano methods. It introduces black-keys only and white-keys only pieces progressively. And for 5-line staff reading, they use intervallic reading approach around treble G and bass F notes. Specific note identification is left in level 2. Moreover sight reading cards sets are available for each level. Another impressing feature of piano safari is that they use animals to symbolize piano techniques, named animal techniques. I also use pattern pieces to cope with technical difficulties such as hand shape and hands together issue. It is a big topic so let me discuss it in due course. I start using piano safari since last summer. At first I heard this system in Facebook piano pedagogy discussion groups. Later I attended a piano pedagogy seminar last summer. The speaker just asked us if we had heard this method. I teach in Hong Kong but it is pity that so far this method is not available here. So I order books on their official webpage directly. Piano safari method system is somehow unconventional when it compares with mainstream score reading-centered approach. I feel satisfied with this innovative method system. I teach in music centre and need to come across with transfer students frequently. Some are indeed sight reading dyslexia but most of them simply because they are used to play by ear. In low grade as the music is simple this kind of piano learning is fine. However, I find students under this kind of piano learning usually have very chaotic and weird sight reading mindset. So gradually they will struggle with learning new pieces from the score when the pieces get more complex. And some even do not care if they have played correct notes from the score. By this way students lose their patience and interest in piano playing very easily. I use this method system mainly as remedy for transfer students with sight reading difficulties so as to reset a more systematic sight reading mindset and hope they can regain their music interest. Excerpts and links may be used, provided that full and clear credit is given to Alice Ho with appropriate and specific direction to the original content. Please kindly leave me a note for any recommendations.